Ever since Washington DC took over as this nation’s capitol, Philadelphia has been like that little cousin that’s always tapping your shoulder for some darn attention. Fortunately, when it comes to music the shoulder tapping is not only accepted, it’s welcomed. In the last couple years, Philly has catapulted some bands on the national playing field (Dr. Dog, The War on Drugs). 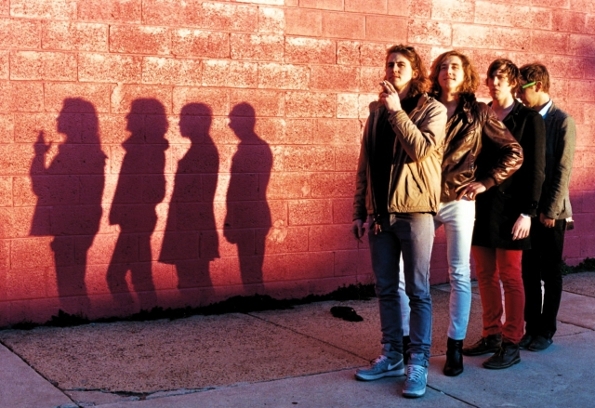 Most recently, there has been a tread forward by the garage rockers Cold Fronts. They raise their middle appendages to that of the supercomputer-infused dubstep and the naïve and regulated pop of today. Cold Fronts found an agreeable balance between gritty lo-fi and The Strokes‘ Is This It? Their EP Pretty Americans was just released on March 27 and is available for purchase via their Facebook.